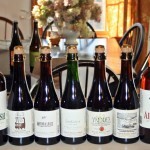 There are countless articles and much debate on the proper storage of and cellaring beer but I recently had a reader ask me to put together my thoughts so here they are. First I rarely buy a beer with the intention of cellaring it. The only ones I can think of are the few 12 oz bottles that I bought a 4/6 pack of – Sierra Nevada Bigfoot, Goose Island Bourbon County Stout, etc. I typically would drink one and store the others for future consumption. However I do have what I like to call a “beer buying problem”. Like many craft beer drinkers I feel the need to buy that bottle of some newly released variety before it sells out and is g one forever. 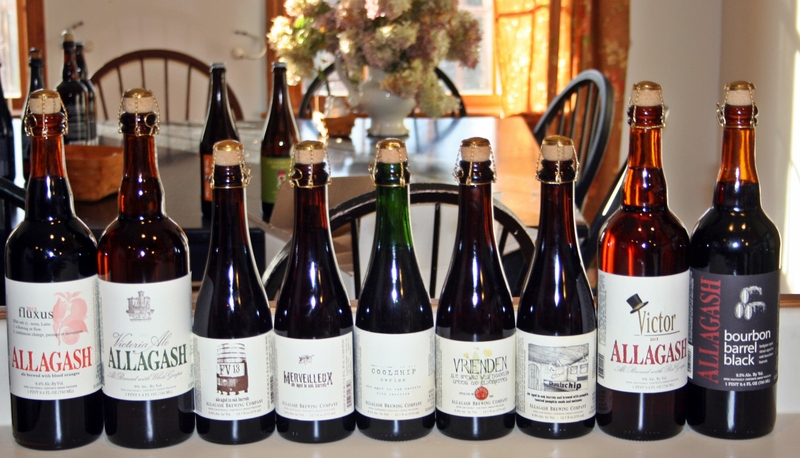 Because of this I have amassed quite a collection of beer (see entire list here). I decided to keep my storage as simple as possible. 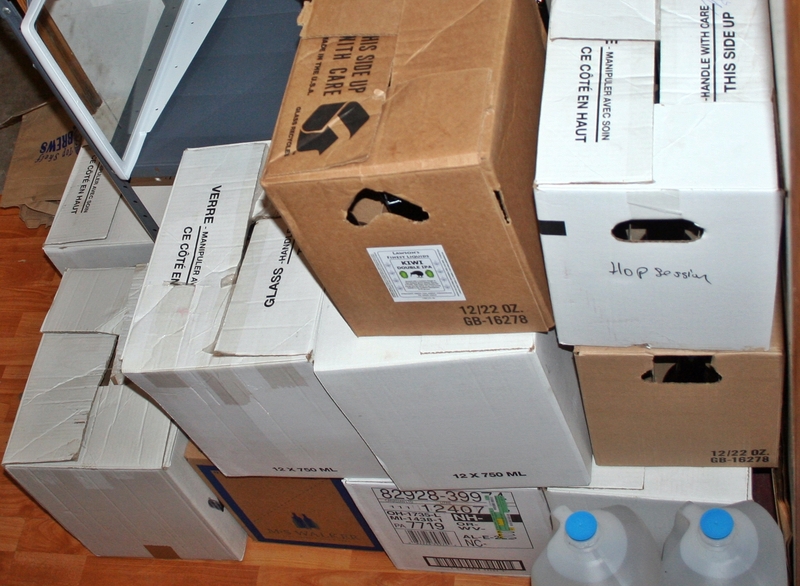 All of my beer is in boxes and kept in a storage room in my basement that is separate from the finished and heated part of my basement and not in the same area as the furnace. This room stays between 55 and 60 degrees year round. 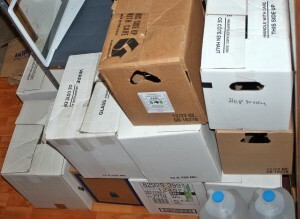 By using boxes in this room I take care of the two most important things; temperature control and light. Large swings of temperature, or storing beer too cold or too hot will shorten the lifespan and light is bad for beer. Most craft brewers would tell you the beer is ready to drink when they release it, if it was not ready they wouldn’t let it out of the brewery. That being said there are some styles of beer that might benefit from some additional time in the bottle. Some styles of beer should be consumed fresh including; IPAs, Double IPAs, pale ales and many lagers. 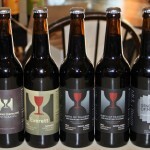 These beers will get worse not better with age so keep them refrigerated and drink them fresh. 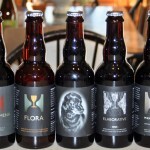 Many higher alcohol beers including barleywines and imperial stouts are good candidates for cellaring. I also have quite a few saisons and brett beers stored away, not sure they will get better with age but unlike the IPAs and pales they shouldn’t get worse. I also figure anything that has been aged in barrels by the brewer could be stored away for some time without much consequence. 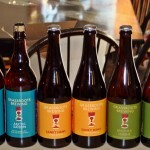 I drink my beer in the following order – growlers first (fresh beer is better), if I don’t have a growler in the fridge than any bottled or canned IPAs or DIPAs, then pale ales. 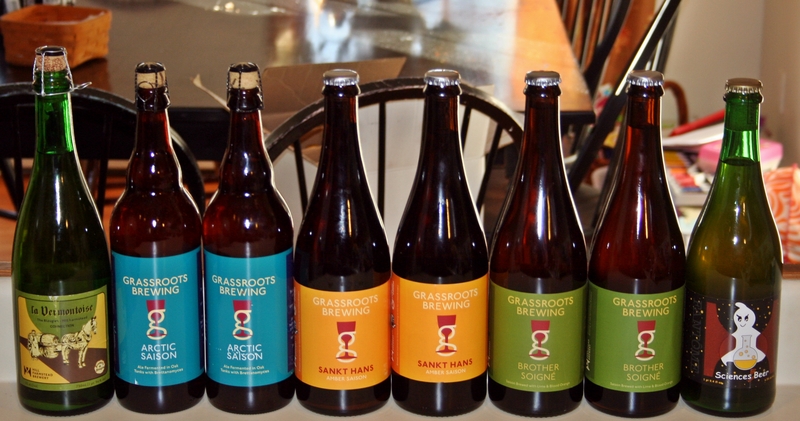 If I don’t have any of those I will move on to the other beers in my fridge and/or cellar. This is why you see so many reviews of IPAs and pales on my blog as I try to drink them first and often do not make it down the list to the other styles. 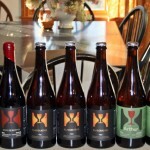 Some people have better reasons for cellaring beer but for me it is simply I buy more beer than I drink. 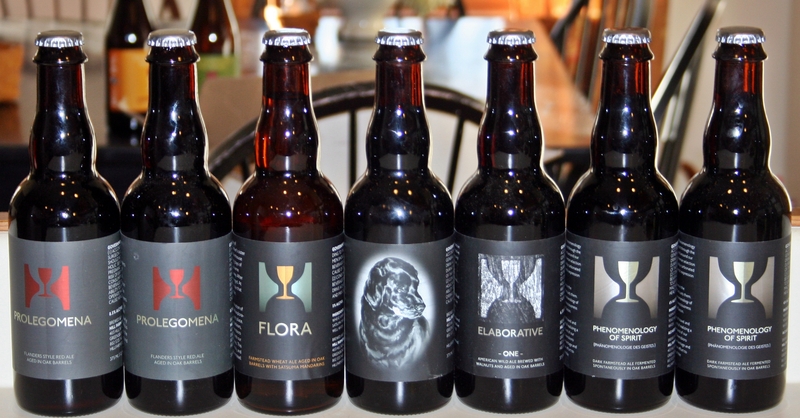 Some craft beer enthusiasts have what is referred to as verticals of beer that date back many years. 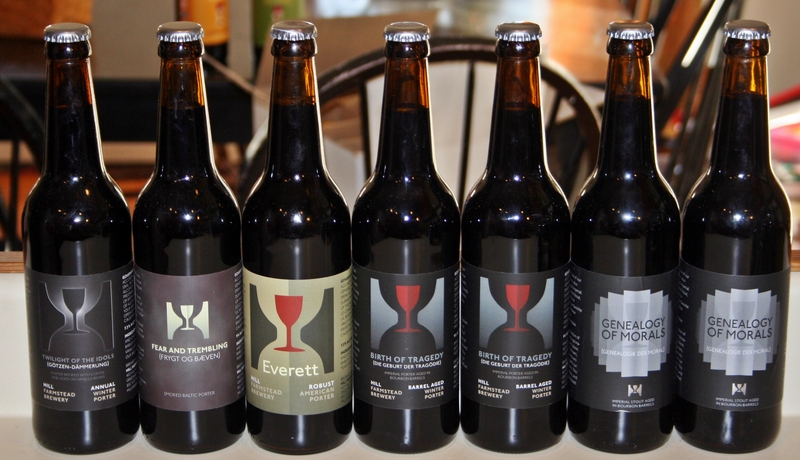 A vertical in the beer world is an annual release beer that you keep a bottle of each stored away. Some famous examples include Anchor Christmas Ale, Sierra Nevada Bigfoot, Stone Vertical Epic. While I have been drinking craft beer for years I was late to the vertical game so the only vertical I have is Rising Tide’s Polaris which only has 3 years. Because year one only had 336 bottles and I have 2 of them there are probably not that many people out there with verticals of Polaris. 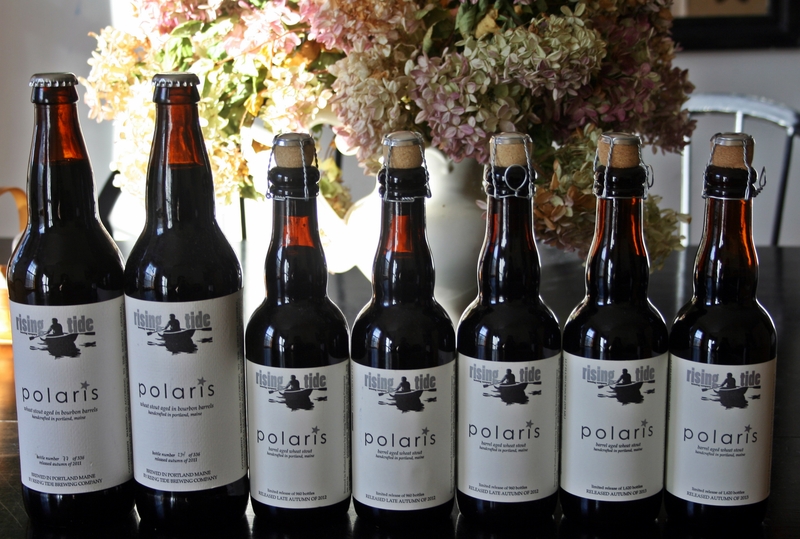 Some day I will open them and do my own vertical tasting of Polaris and see how it has changed over the years. Because I have at least 2 bottles from each year I can do this and still keep a complete vertical for the future. This is my simplified explanation of cellaring, for best results you should buy at least two bottles of each beer you plan to cellar so you can have one fresh and then drink the other a year plus later and see how age has affected it. I am sure other have differing thoughts on beer storage and cellaring but this is what I do, feel free to share your own process in comments. 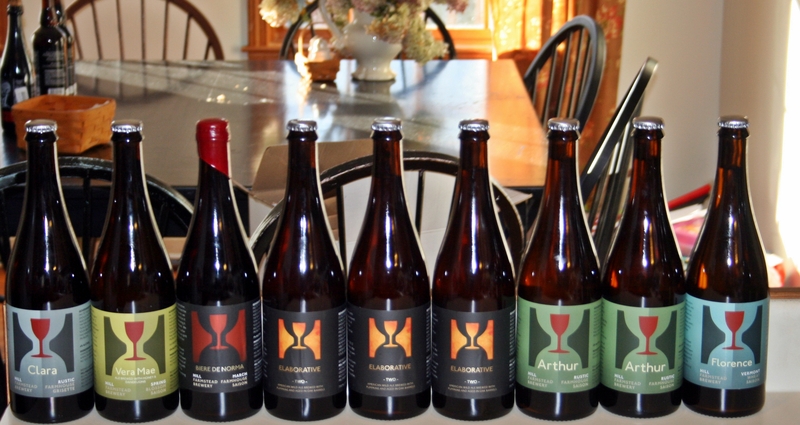 Now for a few photos of beer that is sitting in basement including enough Hill Farmstead varieties to make most craft beer drinkers jealous.